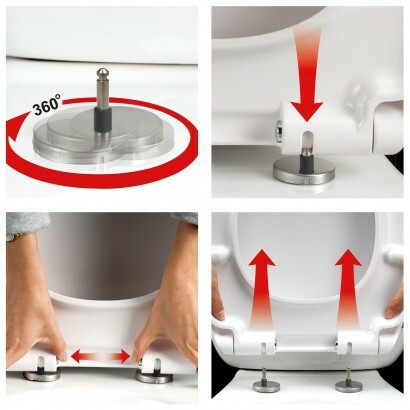 On first thought a Glow in the Dark Toilet Seat may just seem like a bit of fun, but it's actually a very handy product that will safely guide you to the loo at night. Turning on a light when you pop to the loo can invoke feelings of wakefulness which makes it difficult to go back to sleep, but the glow toilet seat glows gently providing enough light to safely find your way to the loo, but not enough light to startle you out of sleep. 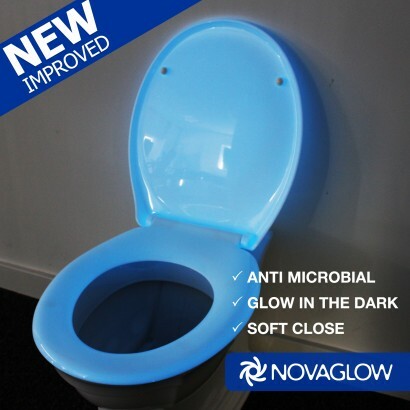 A super strong, light weight loo seat that's soft close too, the glowing toilet seat will fit most toilet bowls and appears off white in the light, but glows in the dark for up to eight hours at a time! Simply allow the glow loo seat to charge from either natural day light or from your bathroom light and see it glow brightly in the dark! 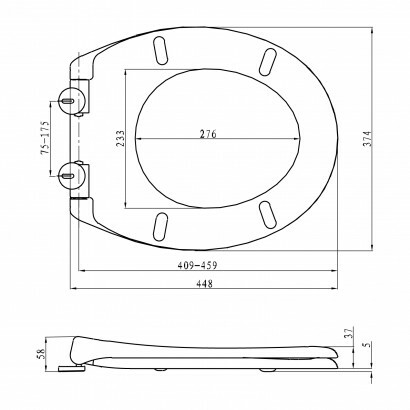 The Glow in the Dark Toilet Seat is completely safe; its' glow comes from strontium aluminate, photon producing crystals that glow ten times brighter than other glow products for ten times as long. Made with a powerful long lasting anti microbial polymer which creates an ultra fresh, high level of protection against toilet nasties, this fabulous seat not only looks good, but is hygienic too! 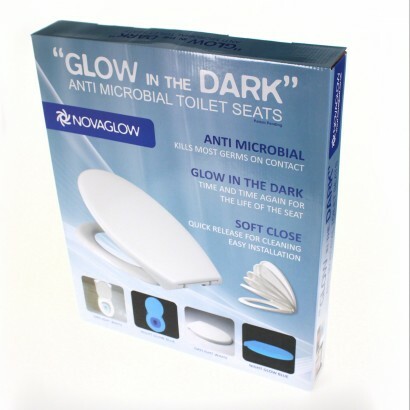 A fantastic feature for your bathroom, the Glow in the Dark Toilet Seat is certainly a talking point, but more importantly, it's a fantastic guide for those night time trips to the loo! Easy to take apart for cleaning - excellent idea! Slow close - not particularly my thing, I'm always in a rush, but might get used to it. Daytime white-ish, blue at night if you charged it up properly. I think the previous green version glow longer and stronger, maybe black UV light would help. Both items really useful at night. The seat saves putting on the light and getting woken up. Keyring makes it easier to locate in the dark. yes not to bad but could be doing with being a little more sturdier and slow close.